A ceremonial parade was held yesterday in honor of the retirement of the deputy commissioner of prisons – 82 Limoni Teisina. The program began with a march parade and a general salute to Teisina. A spokesperson for the Prisons Department says, 82 Limoni Teisina is the longest warder to serve in the Department. 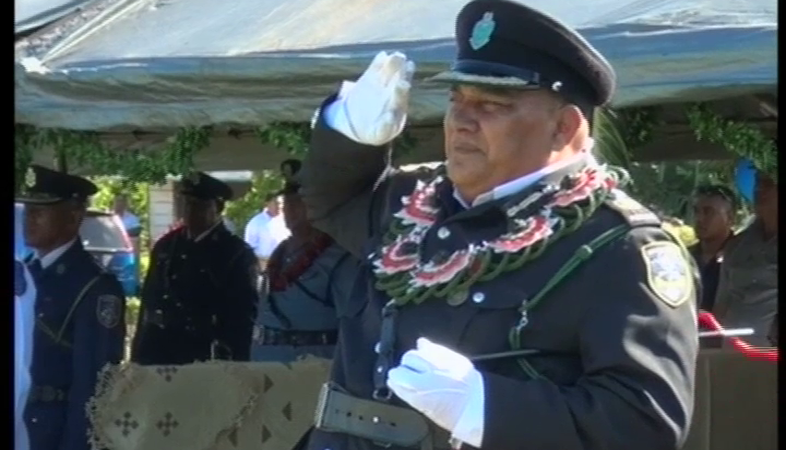 Teisina served in Vava’u from 2000 to 2003 after becoming a recruit warder in 1978 and later became the Prison’s Deputy Commissioner since 2010 up to his retirement. In his remarks during the program yesterday, 82 Limoni Teisina expressed his heartfelt appreciation to his colleague for their cooperation over the years and hopes they will work together to address the challenges faced in prison. Teisina served for 40 years in the Prison’s Department.